The Great Seal of the United States is the symbol of our sovereignty as a nation. Its obverse is used on official documents to authenticate the signature of the President and it appears on proclamations, warrants, treaties, and commissions of high officials of the government. The Great Seal's design, used as our national coat of arms, is also used officially as decoration on military uniform buttons, on plaques above the entrances to U.S. embassies an consulates, and in other places. Both the obverse and the less familiar reverse, which is never used as a seal, are imprinted on the one-dollar bill. The history of the Great Seal begins with the day of our founding as a nation. The Continental Congress appointed a committee to design a seal for the United States on July 4, 1776, just a few hours after they adopted the Declaration of Independence. 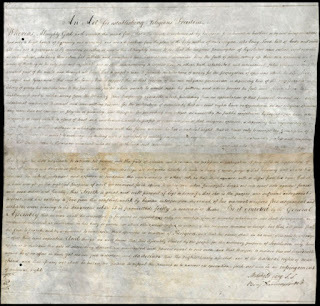 The committee members—Benjamin Franklin, Thomas Jefferson, and John Adams—prepared a very complicated design that was promptly tabled by Congress. However, one prominent feature of their design appeared in the design that was originally adopted—the motto E Pluribus Unum, "Out of Many, One." In 1780, a second committee—James Lovell of Massachusetts and John Morin Scott and William Churchill Houston of Virginia—developed a second design, but it was also tabled by Congress. 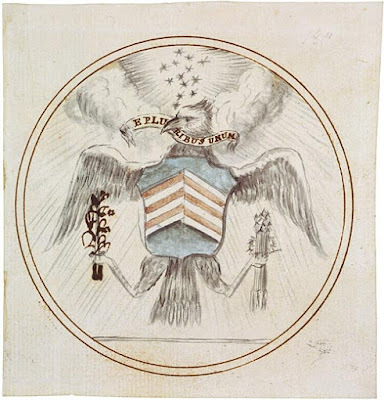 Like the first design, the second had elements that were later incorporated into the final seal, including the olive branch, the constellation of 13 stars, and the shield with red and white stripes on a blue field. A third committee was appointed in May of 1782. This committee's design employed the eagle for the first time, in the crest. 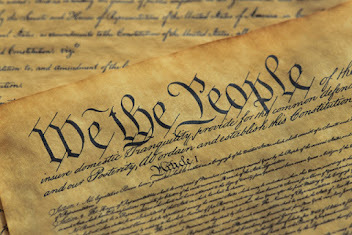 Early in 1782, Congress referred the three designs to Secretary of the Continental Congress Charles Thompson. Thompson made a fourth design that was revised by William Barton, a Philadelphia student of heraldry. Thompson submitted a written description of his final version to the Continental Congress that described the design and explained its symbolism. The Continental Congress approved this design on June 20, 1782.